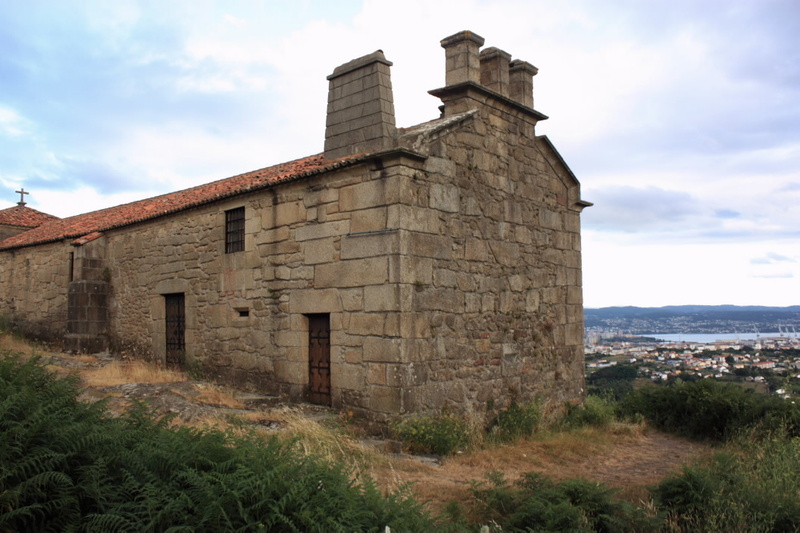 If you are planning a trip to Galicia, it is likely that one of the reasons that prompted you to choose this destination is the set of wonderful landscapes landscapes, which include an abundant and green vegetation, an architectural beauty that treasures centuries history, and a vast sea area whose steady swing acts as a counterpoint to the majestic mountains and soundness of steep cliffs. From Five Sensations,we recommend six corners from which you can spot some of the Galician enclaves of greater visual plasticity, suitable for those seeking to capture the best shots of our geography. 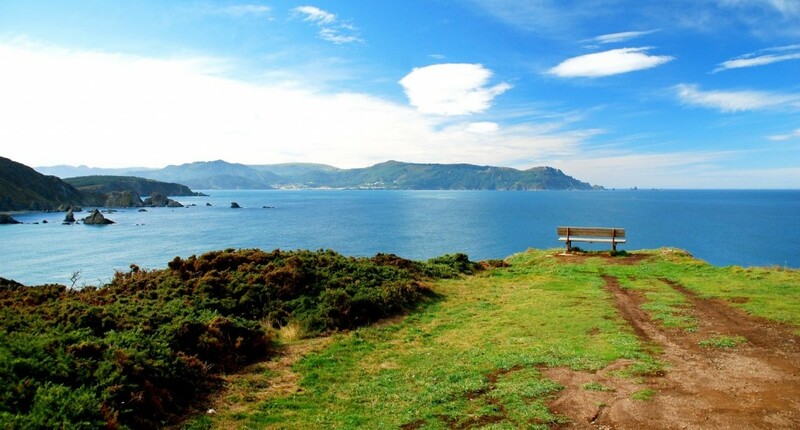 This is how is known a bench located on the coast of Loiba, in Ortigueira, from where you can see the confluence between the Atlantic Ocean and the Bay of Biscay running any overcrowding. Facing the horizon, this seat became famous after someone wrote on its boards a sentence that claimed “The best bank in the world” and since then it has become more than a simple element of props in a unique setting. The infinite view from this privileged corner seems to be a canvas on which nature prints all its expressive power. People from Ferrol who ascend each Easter Monday the Mount Chamorro to reach the most famous temple in the city and pray to their patron saint, know well that the effort will be worth it once up. The views from the shrine of the Virgen de Chamorro are splendid. Since its vicinity you can see a breathtaking panorama of the Estuary of Ferrol along with the shipyard of Navantia and part of the town of Fene. Legend has it that this was the first place where the remains of St. James rested. Located in the town of Boqueixón, a few kilometers from the capital of Galicia, the Pico Sacro is one of the most significant mountains of Galicia, both for its coveted magical views and the popular stories around it. From its peak of 530 meters the town of Santiago can be seen in a panoramic 360 °. 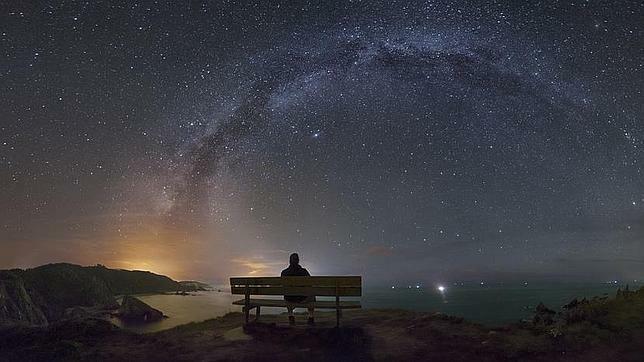 This small parish belonging to the municipality of Dumbría, in the province of Coruña, has one of the most beautiful natural sights in Galicia. 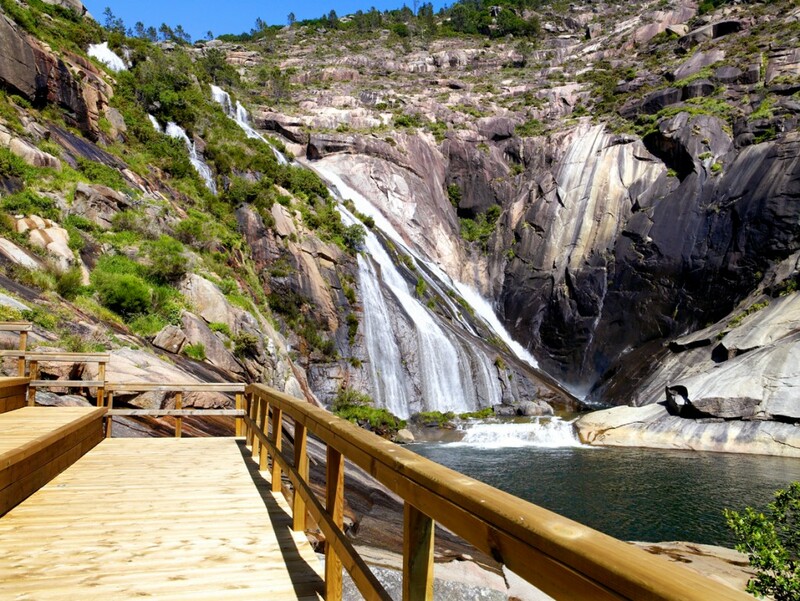 This is the place where the Xallas river flows into the sea in a cascade, leading to a major scenic attractions of the Costa da Morte. 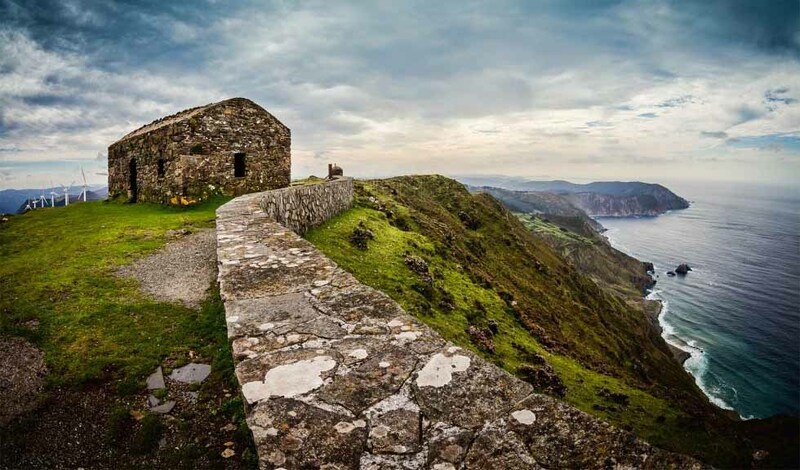 From its viewpoint you can see all the village, along with its cozy beach and Mount Pindo, listed as a Site of Community Importance and included, as Vixía Herbeira Cliffs, in the Natura 2000 network. 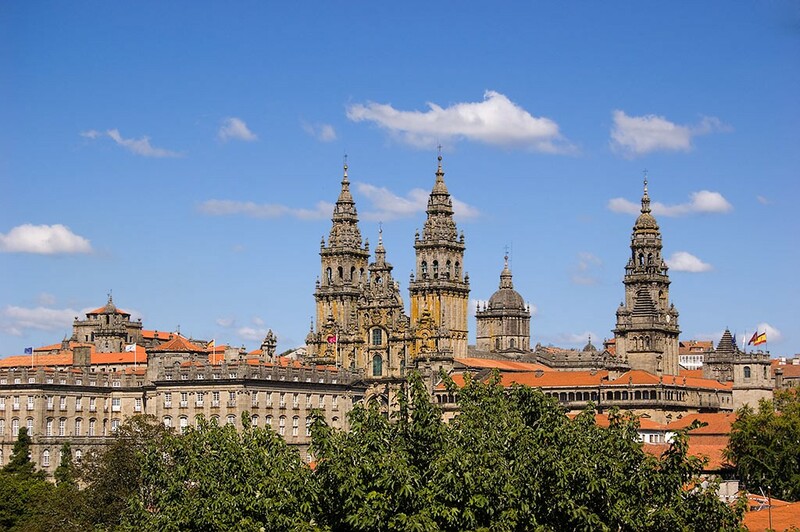 If instead of enjoying a view dominated by the vegetation and the marine environment you prefer to revel in the best picture of the Galician city with more patrimonial relevance, the Paseo de la Herradura, located in the Alameda Park of Santiago de Compostela, is your site. It is not difficult to find locals and visitors sitting in their surroundings in any season, and neither is finding postcards with this landscape in any of the shops in the town. The main charm of this corner lies in the opportunity that it provides to collect, at a glance, a snapshot of incalculable historical value in a World Heritage Site. If there is a coveted spot from which to contemplate the Galician countryside, this is the Serra da Capelada and, more specifically, the Vixía Herbeira Cliffs, located between the towns of Cedeira and Cariño. They have the distinction of having the greatest height above sea level of the entire Continental Europe. 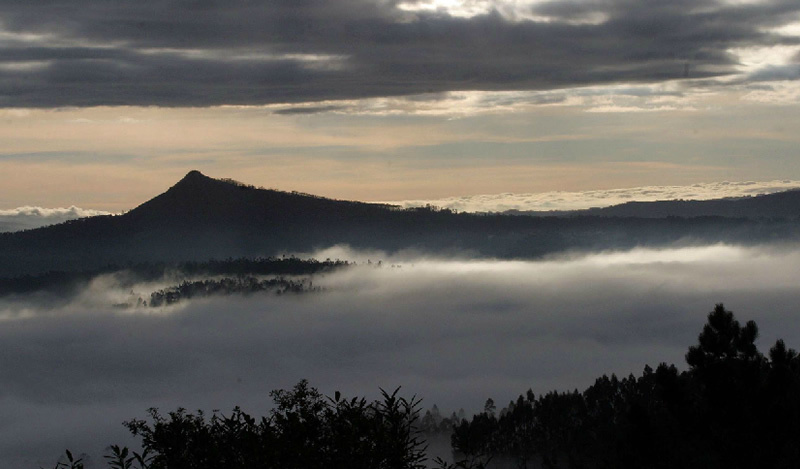 Its 613 meters high and high ecological value contained within the Natura 2000 network and hold the title of a Site of Community Importance (SCI). Since Vixia Herbeira, you will see the vast ocean cut by dramatic rock formations and unique geological altitude value in our country.